🦮 is an emoji featuring a guide dog. 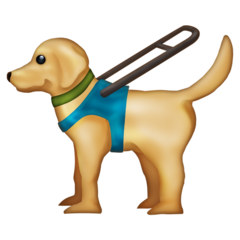 It was introduced with Unicode 12.0 in 2019.
is an emoji showing a dog. It was introduced with Unicode 6.0 in 2010.